Born in Cali, Colombia, Bardales draws upon his experiences and culture to influence his work. 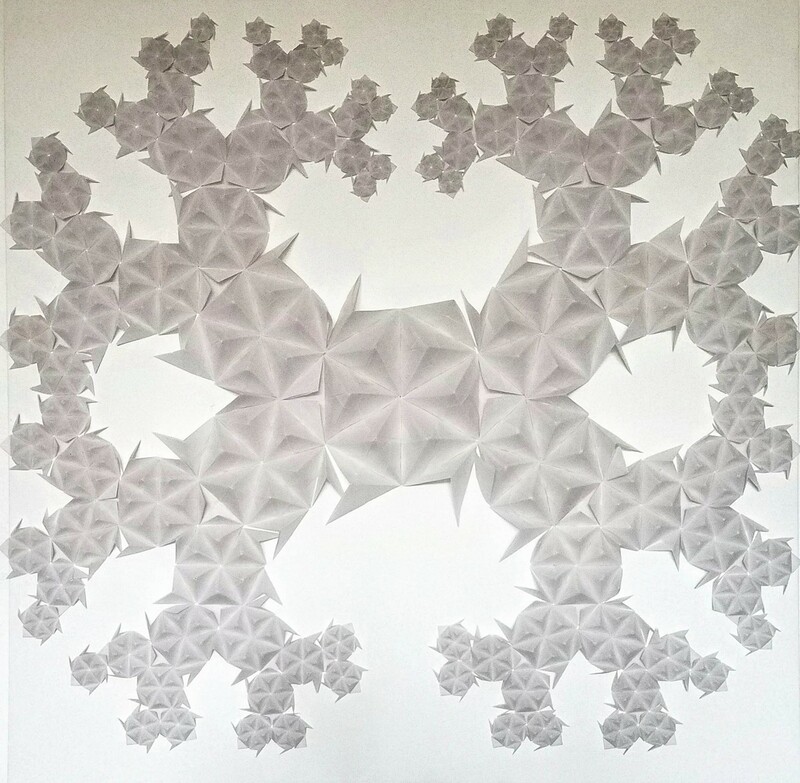 He works mainly in the ancient paper folding technique origami to create original pieces of art and relies upon the implementation of lines, repetition and geometric shapes. 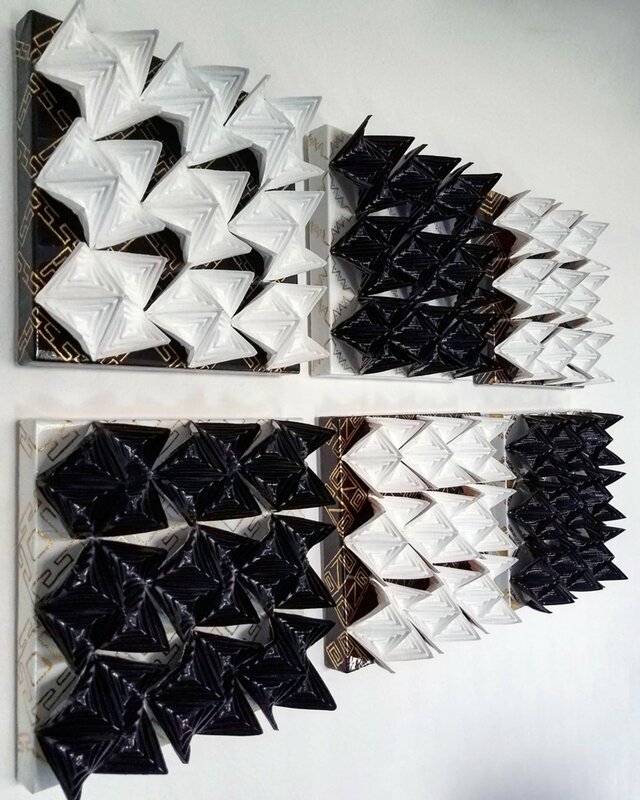 The use of repetition, besides providing a structural quality to the compositions, also questions what time really means when one is lost in the artistic process of their creation. He is interested in exploring the meditative state acquired by this process and the relationship this has with the meaning of presence and time. About his process Bardales says, “growing up in Colombia, I went through difficult situations that have taught me to look at things from many points of view. I also craved structure and organization in most of my work. 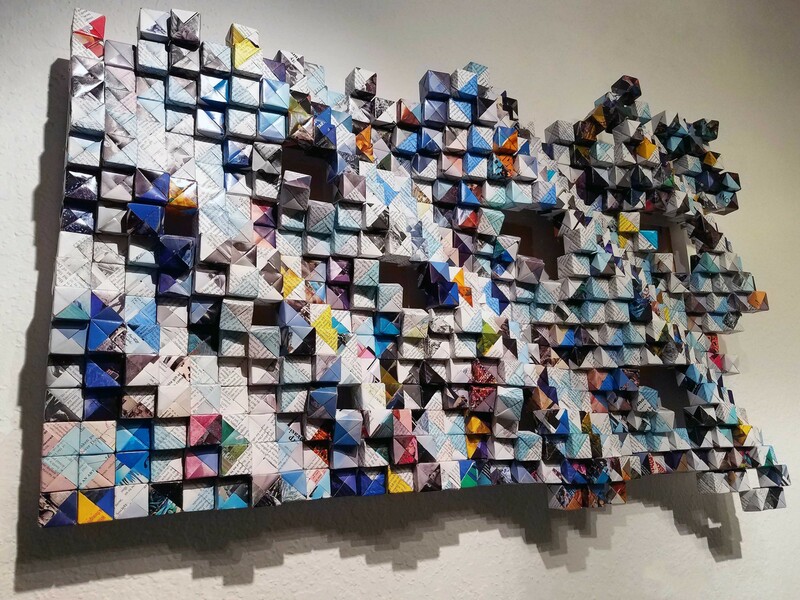 For this reason, origami was a perfect outlet to show the audience my perspective. Bringing together different experiences and elements allows me to create unique pixelated images and abstract compositions that speak to an aesthetic that has become more recognized and used by artists in the post-internet era.” He incorporates recycled paper, newspaper and old encyclopaedias as the main materials, by which he gives new life to these sources of information. According to Bardales, “all the information beneath my compositions are the major subject in my pieces, even still in an increasingly digital age where printed materials are slowly becoming obsolete. By transforming them in the work, they are given new relevancy without losing the printed wealth of knowledge.” Bardales has exhibited in several galleries and is part of numerous private collections. He currently lives and works in Miami.